This small and friendly family-run hotel is right in the heart of Cervinia, occupying the first floor of a larger building. 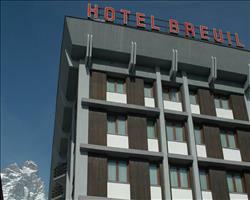 The hotel provides good accommodation perfect for the budget conscious skier. It is in the perfect location right in the centre of the resort and the shops, restaurants and numerous bars of Cervinia are only a stroll away. The nearest lift is located 3 minutes' walk away (250m). The comfortable rooms are furnished in a simple style and have shower, hairdryer, TV and telephone. Twins can be made up as doubles on request. Facilities at the hotel include a wood-panelled bar, restaurant offering typical dishes of the Aosta Valley, small terrace, whirlpool (payable locally) and Wi-Fi is available in the lounge and reading room. Centrally located the ski school meeting place and the Cretaz lifts are 3 minutes' walk (250m) away. Twin and single rooms are furnished in a simple and comfortable style and have shower, hairdryer, TV and telephone. Hotel located right in the center of town on first floor of building with no lift. Guests must be able to walk up the stairs. 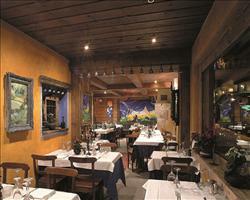 We update Serenella Hotel's details often, but facilities do change. e.g. some extras listed by the supplier as "free" or included might only be for the first time you use them, or for one time per party, then charged for further use. If any specific feature is essential to your holiday, make sure you ask us to confirm the details of it before you book your holiday. This package holiday to Serenella Hotel in Cervinia, Italy departs Saturday 4th January 2020, for a 7 night stay on a "half board" board basis. A local tourist tax (Taxe de Sejour or Kurtaxe) is levied by many councils in European ski resorts. It varies by standard and type of accommodation and is age dependent, so not everyone is charged. It's not included in the basic price of your holiday and is usually paid locally. For reference, the average charged in winter 15/16 was between 50p and £2 per person, per night. Cervinia lift pass price last reported as €204 for 6 day pass. Ask for a quote when booking Serenella Hotel. Breuil Hotel Cervinia Italy, Dover Ferry 4th January. 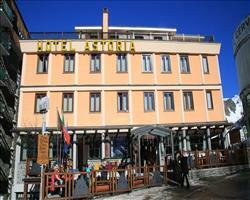 Hotel Astoria Cervinia Italy, Dover Ferry 4th January. Punta Maquignaz H... Cervinia Italy, Dover Ferry 4th January.